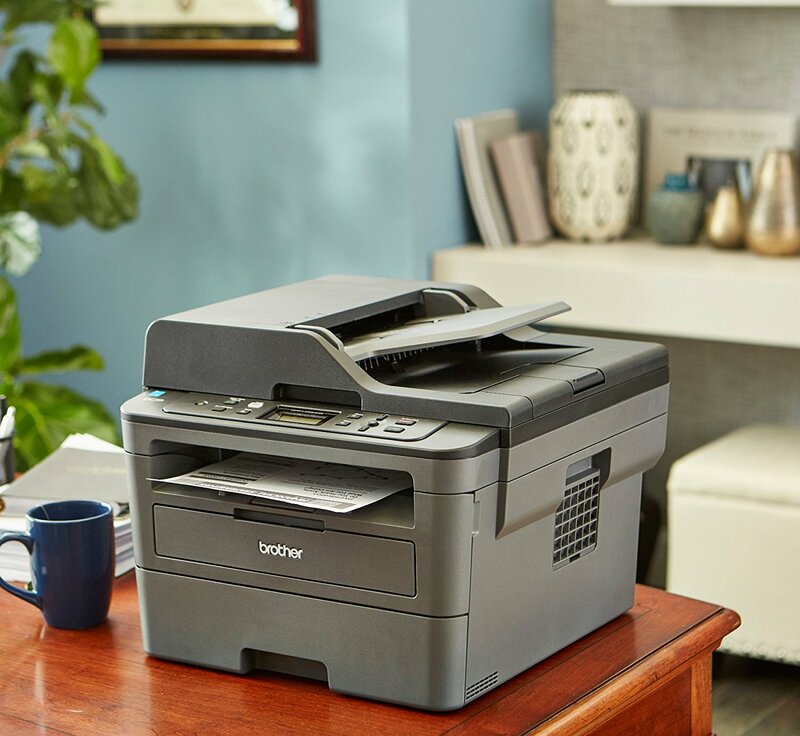 The Brother DCP-L2550DW is a Laser Multifunction Printer with wireless and duplex printing, it can achieve fast, high compact printing which is up to 36ppm. Additionally, this printer features flexible connectivity with Ethernet or wireless networking. At present the DCP-L2550DW has a big discount on Staples.ca and BestBuy.ca, you can take it into consideration when buying printers. 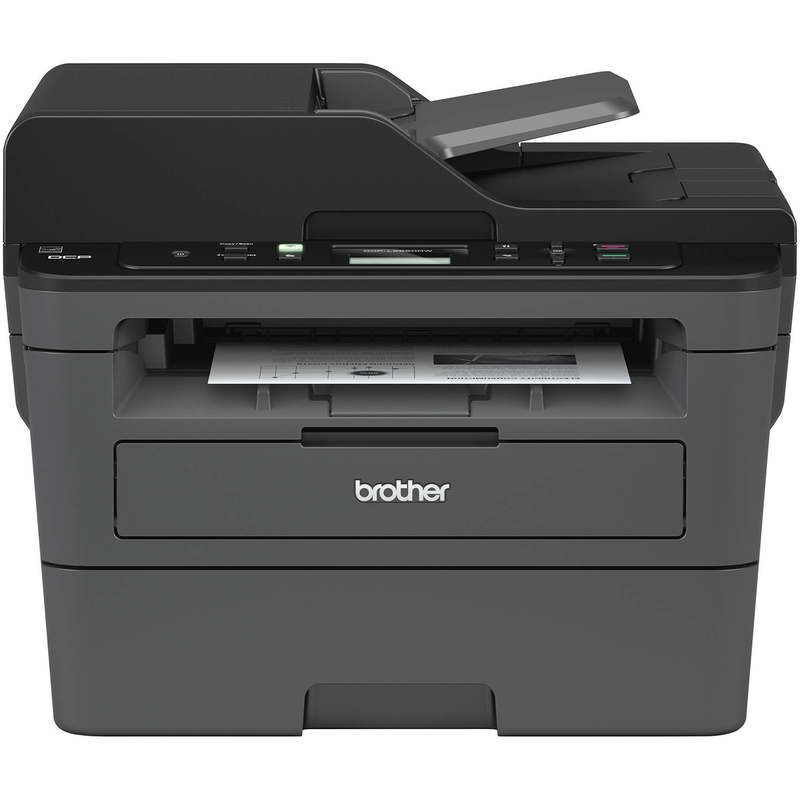 First, the Brother DCP-L2550DW printer in black color meets the business environment. With its compact and portable appearance, it is ideal for busy home or small office, it doesn’t take up too much space when putting it on the table. The stylish Brother DCP-L2550DW is fast and reliable monochrome laser multifunction printer for automatic 2-sided printing, copying, and scanning. Its print speeds of up to 36 pages per minute allow you to finish large documents quickly and it offers up to 2400 x 600 dpi resolution, which lets you create ultra-sharp, crisp images. Besides, its super-fast 36 cpm copy speed allows you to make enough copies to meet your needs. And it provides clear, easy-to-read papers through it’s up to 600 x 600 dpi copy resolution. When getting a wireless connection, you can send print requests from anywhere. What’s more, the Ethernet port provides wired access to your existing network. A good toner is an important part of a good printer. The Brother TN760 Original Black Toner Cartridge is a good partner for Brother DCP-L2550DW. It has a high yield of 3000 pages and features 2-year shelf life. It is sold on our website of $69.49. The other one is Brother TN760 Compatible Black Toner Cartridge. You have to notice that it has no chip in it. This compatible one is sold at $24.99. If you are interested in the mentioned product or other related products, please visit our website 123ink.ca. Our website offers free shipping on all the orders above $49. We are willing to offer you the best service. You will absolutely have a happy shopping experience on our website! Where to buy Brother DCP-L2550DW Printer with a Big Discount Online?